Our name is Champoulet: Champ because of our delicious sparkling drinks and Poulet for our world famous fried chicken. The good we make begins here. 100% Humanely raised in a cage-free environment on trusted American family farms. Marinated in special seasonings, hand-breaded and pressure cooked to perfection in 100% refined peanut oil. with your choice of side and soda or iced tea. with your choice of soda or iced tea. grilled chicken, mustard and greek yogurt avocado salad in whole wheat bread or lettuce wrap. 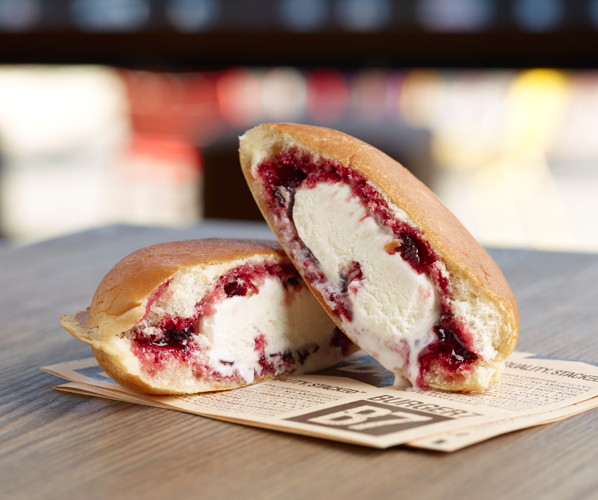 warm brioche-ice cream sandwich, toasted in the outside, cold and creamy in the inside.